Armando Cabral is a famous male model, (J. Crew, H&M, Fred Perry, etc). Like many of his peers, Armando was no longer content just wearing fine clothing, and has just unveiled this line of mens shoes. In all honesty there is nothing too over the top here and it seems as though Cabral played it pretty safe, hitting on various current footwear trends. 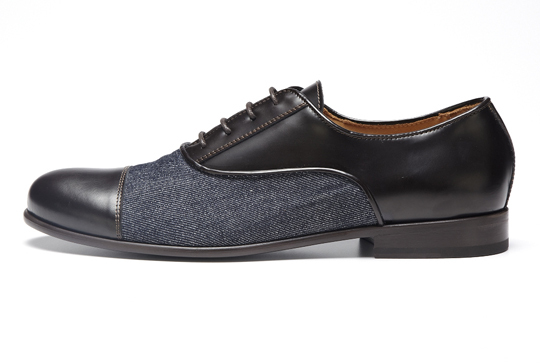 Hardly offensive, the Armando Cabral SS12 line has some very acceptable designs including a patent leather and denim formal shoe; one of the first we’ve seen. The line will be available later this year. This entry was posted in Footwear and tagged Armando Cabral, Fred Perry, Spring Summer. Bookmark the permalink.